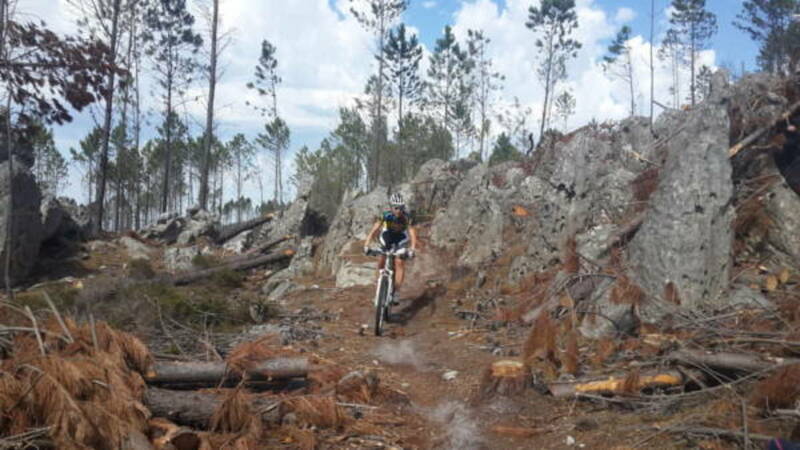 Experience 5 star mountain biking on the Elgin mountain bike tour. Elgin valley, the venue for races such as the Absa Cape Epic and Wines 2 Whales is world renowned for world class mountain biking. 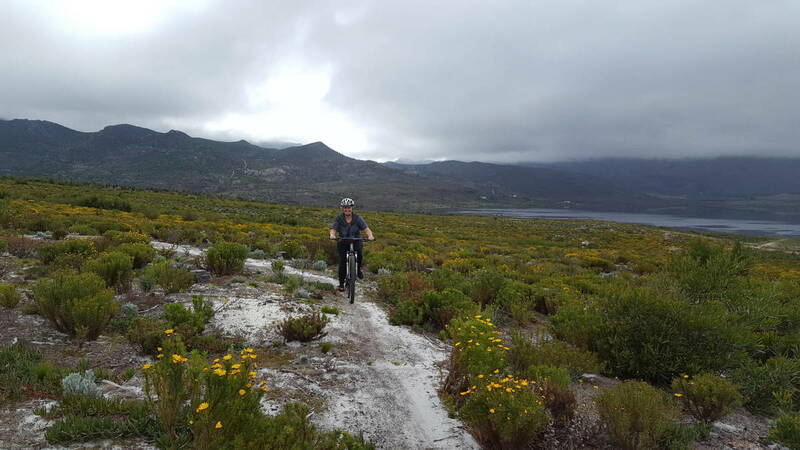 Soaring mountains and endemic Fynbos are the scene for this 3 day Elgin mountain bike tour. Fast flowing singletrack and rocky jeep track give way to amazing vistas of the Elgin valley. This 3 day Elgin mountain bike tour includes the best features of mountain biking, hand manicured single track, bridges and switchbacks. If serious mountain biking is not your thing, not to worry, we cater for the novice cyclist. On our return to the unique bike hotel, Trails End, relax with a cool swim in the pool or enjoy an ice cold locally brewed beer. Other activities include the award winning Cape Canopy tour, Brandy tasting and a fantastic kayak tour on the Bot Rivier estuary a bird lover paradise. 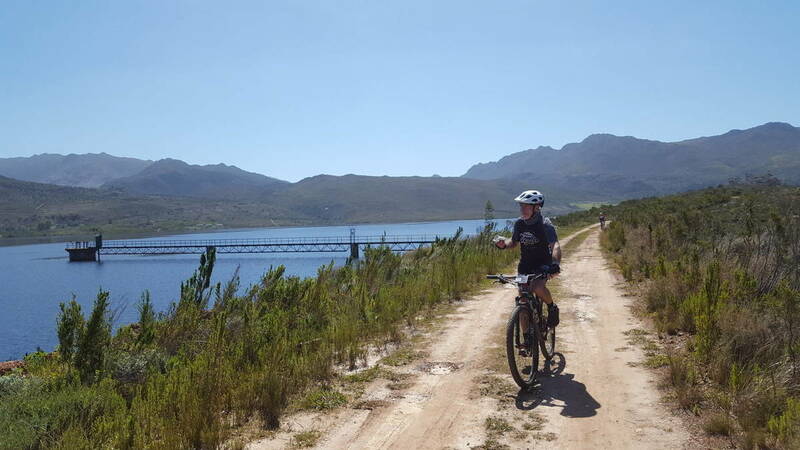 Join us on this 3 day Elgin mountain bike tour of the untouched pearl of the Overberg. WhenTour runs every weekend Friday through Sunday. Transfer from Cape Town to our hotel in Grabouw. After settling in we head out on the bikes for our introductory ride on the A – Z trails. After a delicious lunch, we have a fun afternoon brandy tasting at the Oude Molen distillery. Today after breakfast we cycle the 5 star Oak valley mountain bike trails part of the ABSA Cape Epic. After a delicious gourmet lunch, we head to the Botriver estuary for our relaxing kayak, spotting the rare birdlife of the area. After a hearty breakfast, we head out on the bikes towards the renowned Nuweberg stopping en-route for our adrenaline zip lining tour. After our delicious picnic lunch we cycle back to the Hotel for an invigorating swim, and saying our farewells we transfer back to the airport. Single track with some bridges, rocks, and berms. Single track with bridges, rocks, steep ascents/descents, and berms.